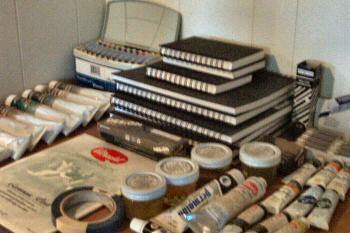 The art studio has a tendency to accumulate stuff; art materials, tools, paintings, frames and so forth. 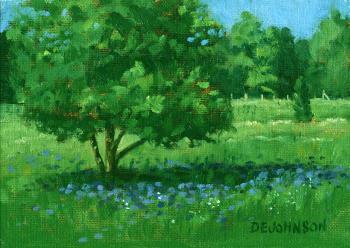 Few of these things can be taken with me on the plein air journey. I’m in the process of selling, donating, gifting or dumping whatever cannot be used while traveling. New items, left over from when I had a store, include oil and acrylic paints, brushes, sketch books, canvas boards, stretched canvas, canvas pads, canvas pliers, erasers, a field easel, 10×12 portable palette box, 12×16 drying box. And, a gently used half-box French easel, frames of various sizes, etc. I won’t be able to carry my inventory of paintings with me in the motor home either. So, I’m also selling all of my remaining paintings at half-price. They all must go! These are original, one-of-a-kind, oil paintings. If I’m able to purge the art studio it will go a long way towards preparing for the full-time RVing life. Let me know if you have any suggestions about clearing out the stuff?